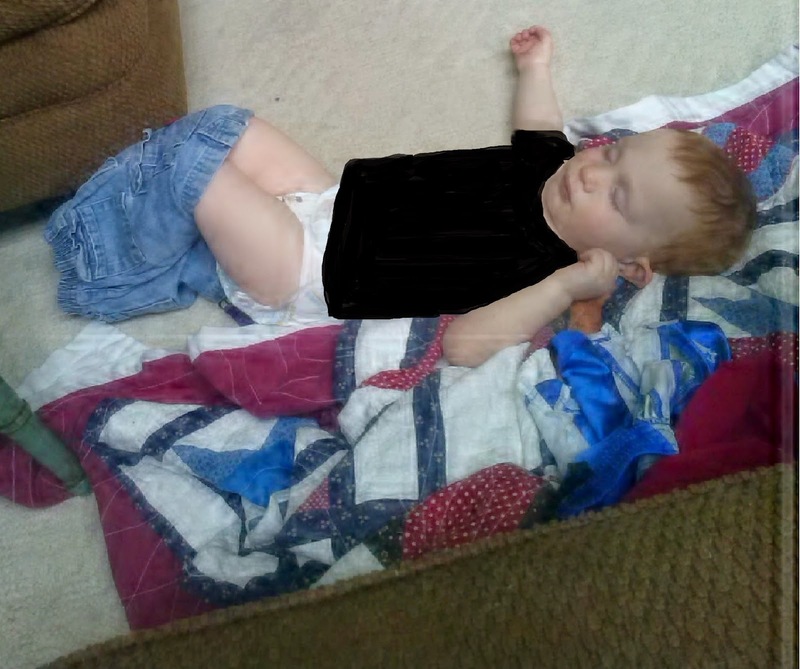 How BIG I'm Blessed: This Kid will Sleep Anywhere! 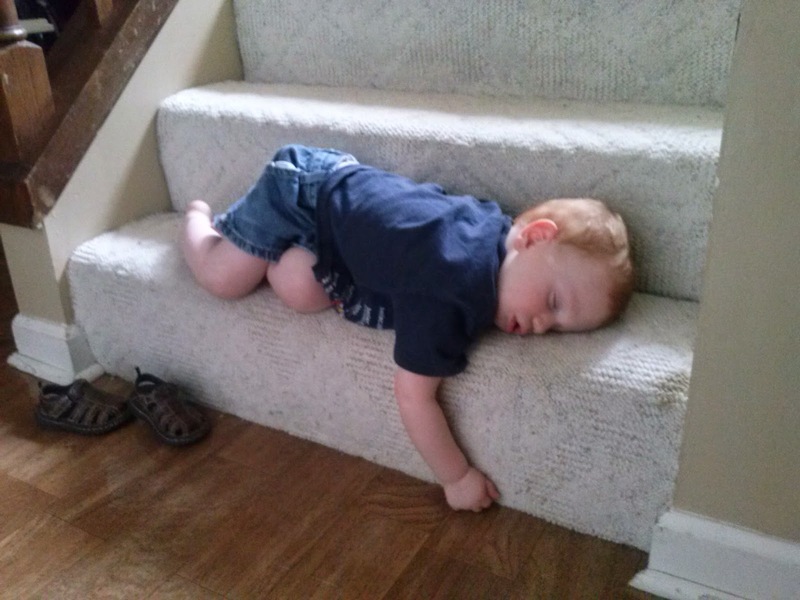 Lately after we put the kiddos to bed they sneak up to the landing and fall asleep. 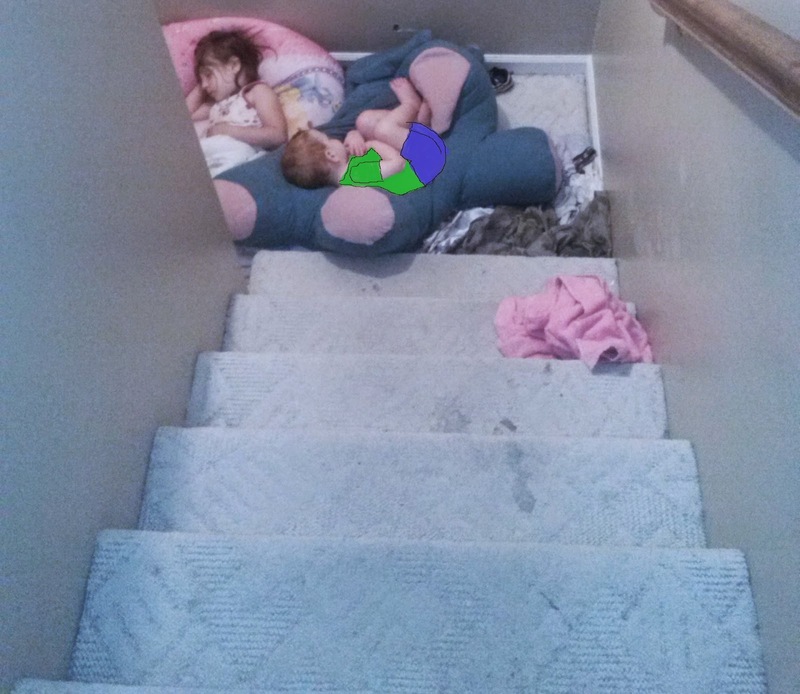 So here you have Amos and Lydia sound asleep in the middle of the stairs. 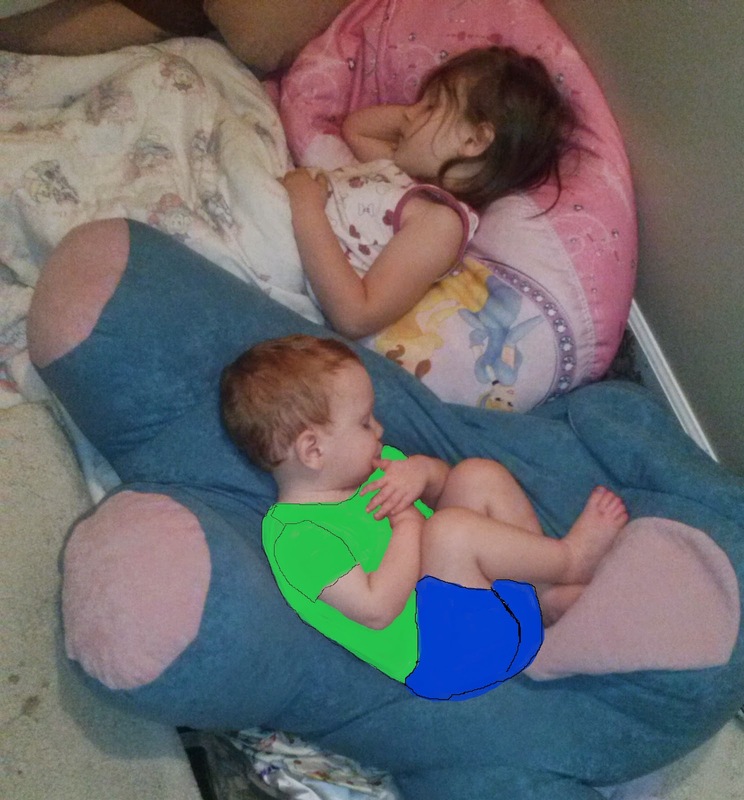 Ephraim was on the opposite side of Lydia, and Levi was actually in his bed=) We usually leave them there till we go to bed, then we go carry them back downstairs and tuck them in their beds. Isn't he just adorable all snuggled up in a ball tucked in his bean bag?